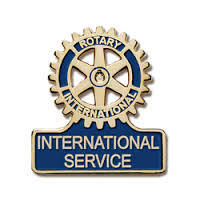 As is embodied in the name of our organization, Rotary is an international service organization. Our club has taken advantage of several opportunities to have an impact on the international level. 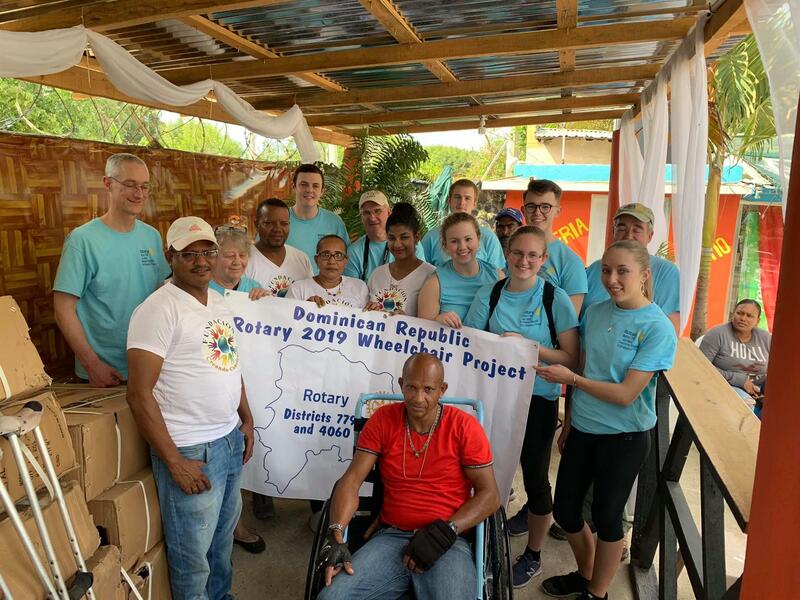 April 2019 - HAPPENING NOW - Rotarians from Rotary District 7790 are currently in the Dominican Republic distributing wheelchairs for PDG Lincoln Ehrlenbach’s District Project! Check back for details! 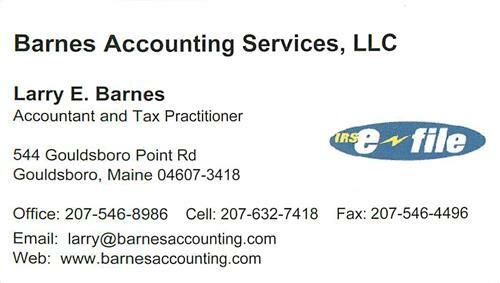 In March of 2018 The Ellsworth Rotary, joined by the Bangor Breakfast Club, the Old Town Club, and the Plymouth. N.H., Club, raised enough funds to purchase a container of 115 wheelchairs. The wheelchairs were procured through the American wheelchair mission and shipped on the group’s behalf to the Dominican Republic. 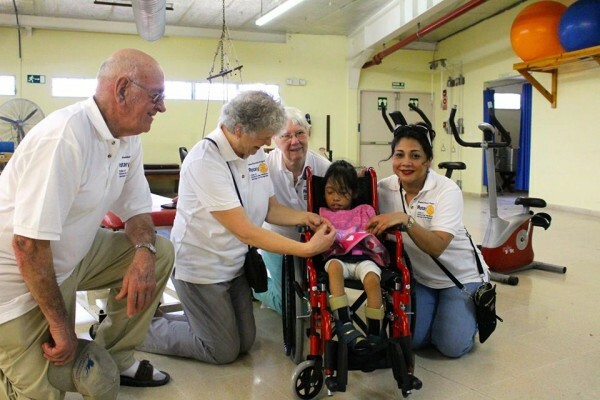 Costa Rica Wheelchair Project: In March of 2017 in conjunction with the Bar Harbor Rotary Club Old Town Rotary Club and Rockland Rotary Club, we distributed over 100 wheelchairs for adults and children in Costa Rica! 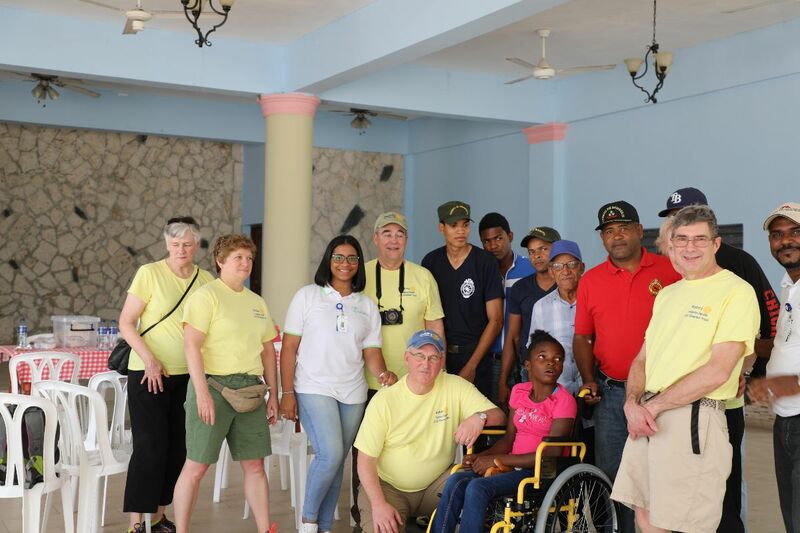 Belize Wheelchair Project: In 2016, in conjunction with the Bar Harbor Rotary Club, we are distributed 110 wheelchairs for adults and children who need them in Belize. 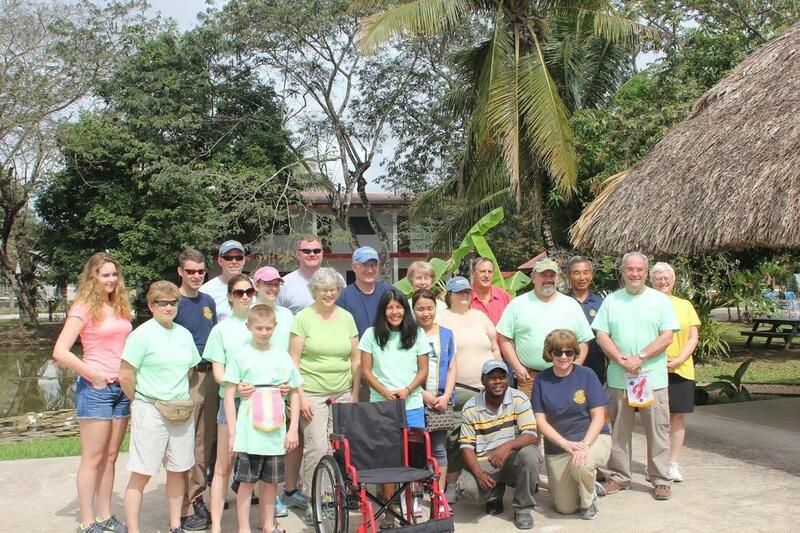 Club members not only raised money for the wheelchairs, but some of them journeyed to Belize and help fit the wheelchairs to the needy people. 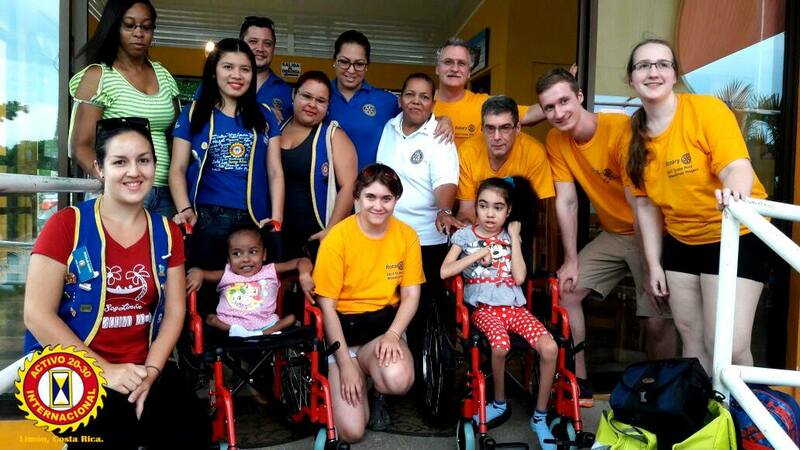 In 2015, our club along with the Bar Harbor Rotary Club distributed 110 wheelchairs to children and adults in Panama!